Welcome to the first installment of "GOSH-WOW!" My plan is to post a random comic book panel every week from whatever comic I happen to be reading at the moment. 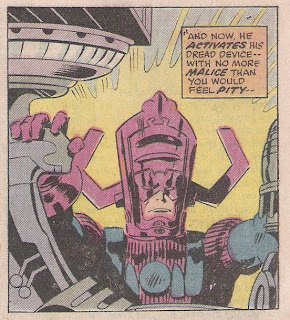 From FANTASTIC FOUR #175 "When Giants Walk the Sky!"